Open Road Films has debuted the first trailer for the coming-of-age comedy Dope after acquiring it at Sundance. The movie was an instant hit with critics, revolving around three 90s hip-hop obsessed teenagers. With it's incredible energy and non-stop laughs, Dope promises to be a big hit when it hits theaters this June, and may prove the perfect antidote to the blockbuster thrills of Jurassic World, which opens on the same day. In Dope, Malcolm (Meak Moore) is carefully surviving life in a tough neighborhood in Los Angeles while juggling college applications, academic interviews, and the SAT. A chance invitation to an underground party leads him into an adventure that could allow him to go from being a geek, to being dope, to ultimately being himself. Will he successes, or die trying? This trailer, which comes after a pre-Sundance teaser earlier in the year, introduces the three leads and its inventive style. 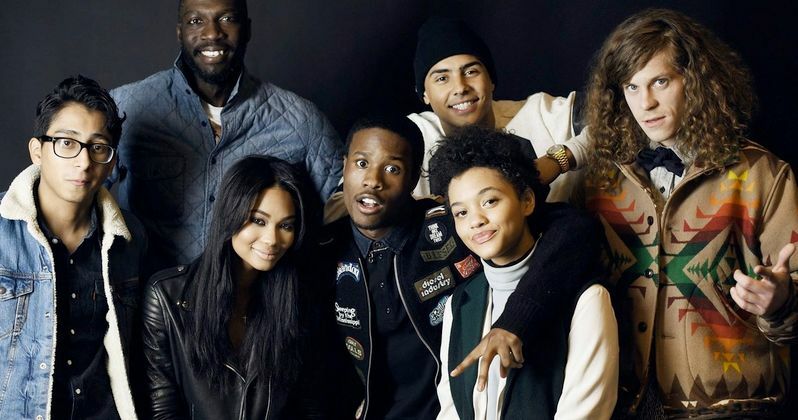 The cast includes cult heavyweights Blake Anderson and A$AP Rocky along with Zoë Kravitz, Forest Whitaker (who also produces), Tony Revolori and former L.A. Laker Rick Fox. Many believe this is the next teen comedy classic. Check out the trailer, and tell us what you think!